As normal, life is busy at WebShopApps. I’ve sat back tonight under orders from our new Partnership & Marketing Director Daniel to give you an update on where we are right now. Now, I could give you a pumped-up blog about how great we are, and god bless america, etc. But I’m not, I’m going to speak from my heart, because thats all I know how to do. As many of you may know, I started out writing extensions back in 2008 when I was on sabbatical from my work in London. My husband was an eBay Powerseller, and had a small eCommerce store hosted online. I fell into Magento, and then, well, it took over my life. 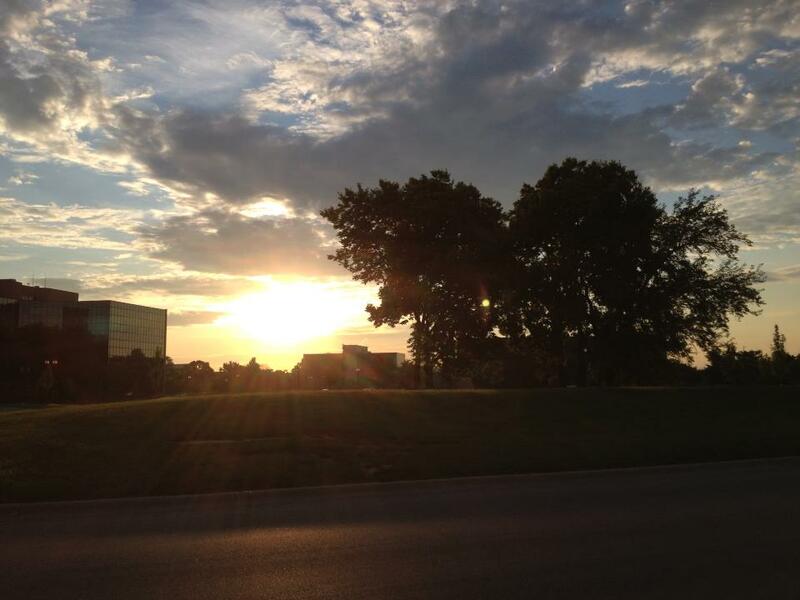 In 2013 I made the decision to move my family to the states, we had a lot of business in the US and I wanted to get back my evenings by getting employees in the timezone where we were so active. So here we are, we moved to a great city Dublin, Ohio. I came to the states to work, and thats why I sited the office here, in the American Midwest, it’s where the work gets done, no nonsense or hype. Our aim here is simple: we are working hard to help you the merchant get the best out of your eCommerce store in terms of shipping rate calculation logic. And we are here for the Web Design Agencies and Independent Developers to give you the support you need so you can get on with the job of creating great sites. Some people think WebShopApps is a big business, well let me tell you it’s not. Each and every team member makes his mark, we work hard, and we care about each and every one of our customers and their success. We are fully invested here in our staff, we now have offices in the UK and US, we support home-grown staff, we train graduates, and we are a diverse and, I hope, interesting group. We have 5 staff attending Magento Imagine and I’d encourage you to come chat to us, come see this great young team and the passion they have. If you are looking for a shipping solution for Magento I would encourage you to talk to us, come support the WebShopApps story, and help us help you into the future. It is only with your support we can continue to innovate and evolve this world of shipping. Come understand why we are the #1 shipping extension provider in the world, and the only extension company that is truly innovating shipping. You decide our future, and I hope you choose us. My promise to you: well, I’ll continue hopefully to keep it real, to think about the small guy, to respect you and help you concentrate on what you do best. WebShopApps, experts in the field of eCommerce shipping and a Magento Platinum Industry Partner, is excited to announce our partnership with Endicia, a leading provider of USPS shipping tools and a proud partner of the United States Postal Service. Endicia gives merchants the tools they need to grow their business by letting them buy and print legal USPS postage right from their computer. WebShopApps has been producing powerful, high-quality shipping extensions for Magento merchants since 2008. The result of this partnership is the USPS Shipping via Endicia extension which gives Magento merchants access to USPS shipping rates, printable postage labels, Endicia account management, shipment tracking, and more right from their Magento admin panel. By getting access to all the tools you need to manage your USPS shipping from inside Magento, you’ll save time and effort. We know how important access to tracking information is for eCommerce merchants so we’ve built USPS shipment tracking information into the Magento admin panel. Additionally, your customers will receive tracking updates right in their account pages on your site reducing the number of “where’s my order” messages your customer service staff needs to answer. The USPS Shipping via Endicia extension from WebShopApps also gives you the ability override shipping carriers selected on purchase in the Magento admin panel. You’ll be able to charge custom rates or even offer free shipping and still have access to hassle-free USPS shipping and tracking. For example, if you want to offer standard shipping based on a simple table rate all your customer will see on checkout is the appropriate rate based on that table. However, when you ship the order from your Magento admin panel, you’ll still be able to select USPS shipping via Endicia and generate the appropriate postage label. You can also manage your Endicia account from inside Magento saving you time and effort. View your account balance, reset your passphrase, or top up your Endicia account without leaving the Magento admin panel. We’re introducing our USPS Shipping via Endicia extension with a special price of $99 for Community Edition sites and $199 for Enterprise Edition. This introductory price only lasts until March 10th. Learn more about the extension by playing with a live demo or reviewing our Knowledge Base. It was a chilly November evening in Munich, Germany when developers, merchants, representatives from Magento, eBay, and Paypal gathered at the Rilano No. 6 bar & restaurant for the MagentoLive Germany 2013 pre-conference party. Two of the WebShopApps UK team, Josh and Raf, joined the fun and connected with other Magento developers, some wonderful WebShopApps customers, and others in the Magento community. A highlight of the evening was meeting a number of owners of small to mid-sized businesses who had recently moved or are considering a move to Magento. On Tuesday, the conference began in earnest with registration and breakfast and an opening session featuring several members of the Magento team and executives from eBay and PayPal. These included Roy Rubin, COO and co-founder of Magento; Jimmy Duvall, Head of Product at Magento; along with others. After the opening session, attendees split up to attend breakout sessions which included a rich mix of speakers from both international and German companies. One presentation that particularly caught the attention of our team was given by Noam Inbar, VP of Business Development at Zooz. She talked about different ways to reduce conversion friction by simplifying checkout with the goal of increasing conversion rates and decreasing cart abandonment. Throughout the day, Raf & Josh had time to learn more about some of the exhibitors at the conference who Raf noted “were completely different” from the exhibitors found at UK conferences, except for the “the big names.” To him, “the standouts were the German companies focusing solely on the German speaking market.” German-speaking Europe (Germany, Austria, & Switzerland especially) has a large and growing Magento community and are increasingly represented at worldwide Magento events. 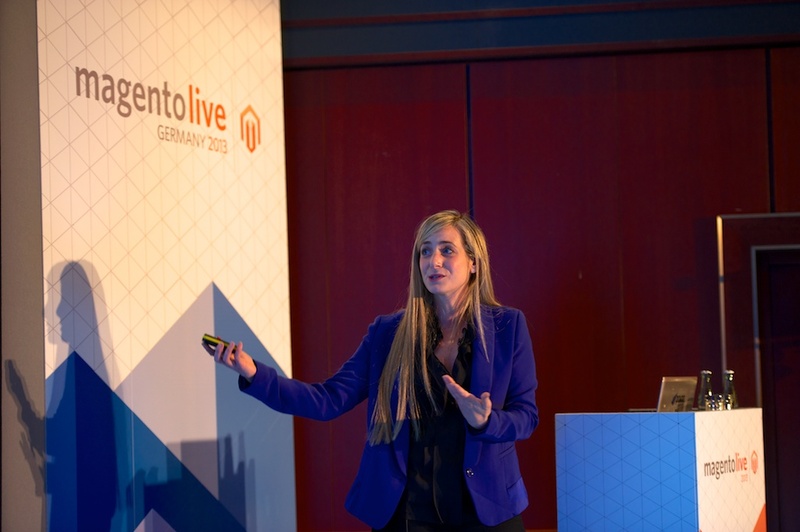 MagentoLive Germany 2013 was yet another example of the strength of the Magento community and its broad reach across languages and regions. For our team it was a great opportunity to connect with many members of that community from hosting companies and software providers to developers and merchants. You are currently browsing the Magento Shipping Extensions blog archives for February, 2014.